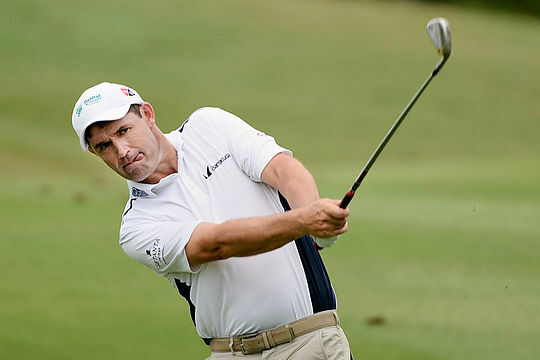 Irishman Padraig Harrington looks to have a walk-up start for the European Ryder Cup captaincy after England’s Lee Westwood ruled himself out of contention last weekend. Westwood was one of the vice-captains during this year’s victory in France and has tasted success being on the winning side eight times. Yet Westwood says he would prefer to focus on being European captain in 2022 when the Cup returns to Europe and will be played in Italy. “I won’t put my name forward for this one,” said Westwood. What’s more, Westwood threw his support behind three-time major winner Harrington as the right choice to be captain in two years’ time in the US. “I think Padraig is a better candidate for the next one than me and we need to pick the best man for the job,” said Westwood. Thomas Bjorn, who captained Europe to victory at Le Golf National outside of Paris is another Harrington fan. “I’ve always said when you’ve got somebody that’s a three-time major champion and has the pedigree that Padraig has and holds the respect of the players that he does, it would be difficult to see him not doing it at some stage,” said Bjorn. Harrington has featured in six Ryder Cup teams and he has been the vice-captain three times.